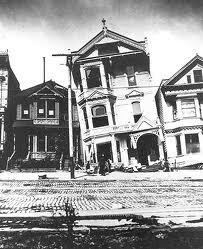 On April 18, 1906, San Francisco shook with the estimated magnitude of 7.9, though some believe it reached 8.25. 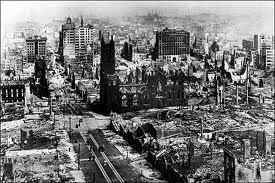 Subsequent fires from ruptured gas lines then ravaged the city, causing an estimated 90% of the total damage to the city. 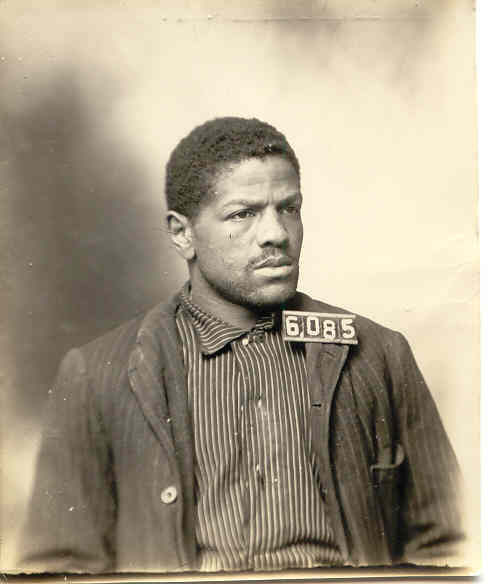 Just five days earlier, Folsom executed its 22nd man, William Gray. Two hours east of the quake, the gray granite fortress surely felt the early morning rumble, but suffered little to no damage. San Quentin, however, experienced an influx of inmates as prisoners from San Francisco jails were transported to the Marin County penitentiary. Stories are told about my great-great uncle, Tom (who is responsible for me writing Folsom’s 93 in the first place) and his role in the quake. Tom was a teenager in 1906 and his brother (or father—not sure which) was the fire chief of San Francisco—or maybe he was the police chief at the time . . . Anyway, Tom and his friends navigated the city on roller skates, collecting and delivering bodies to the morgue. Between the earthquake and the fire, the death toll reached well over 3,000 and over half of its 410, 000 residents became homeless. The reprieve from crime didn’t last long. Gas-pipe thugs terrorized the already-stricken residents of San Fran and soon, it was business as usual. Categories: Folsom History | Tags: 1906 San Francisco Earthquake, Folsom Prison, writing | Permalink. How interesting! And now I’m trying to figure out how one transports dead bodies while wearing roller skates.